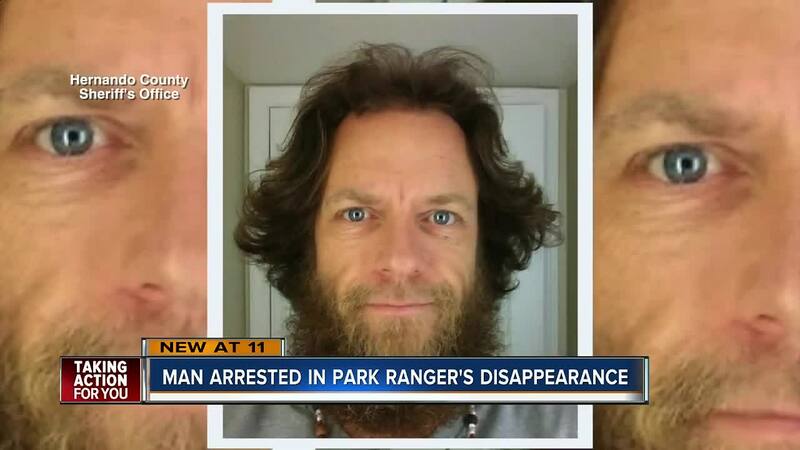 HAMILTON COUNTY, GA — The boyfriend of a missing Tampa Bay park ranger told Agricultural Officers in Hamilton County that he was wanted for killing his girlfriend, and directed authorities to her body in Camden County, Georgia. According to the Camden County Sheriff's Office, the 911 center received a call Thursday night that a female body had been dumped near Exit 7 on Interstate 95 in Camden County. State Officers from Florida's Agriculture Inspection Station said Jeffrey Michael Morrison walked into their station in Hamilton County Thursday night. He told officers he'd be wanted for killing his girlfriend, Mitzi Babb, and the body would be found in a Camden County river. Crew members with the Georgia Department of Natural Resources spotted a body in the edge of the marsh west of the Interstate 95 Crooked River Bridge. 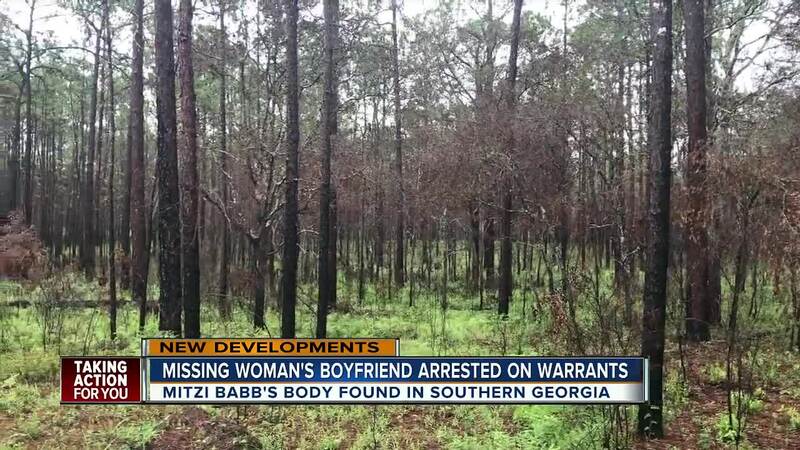 The Hernando County Sheriff's Office confirmed Friday that Babb's body was discovered in Camden County, Georgia. Hernando Investigators are in Georgia to assist with the investigation. Babb has been a park ranger for the Florida Forest Service for nearly 10 years. "She was always a sweetheart, always had a smile on her face," said friend Kelly Florer. "I don't have words, she doesn't deserve it." Deputies say the last time she was seen was Tuesday around 5 p.m. at her place of work in the Croom Forest Area, where she also lives on site. Morrison, who has been considered a person of interest in the case, was taken into custody Thursday night in Hamilton County, Florida. Morrison is being held on arrest warrants out of Georgia for Armed Residential Burglary and Attempted Arson. As of Friday night, Morrison has not been charged in the death of Mitzi Babb.